Is anyone else's skin looking a little frazzled lately? I don't know whether it's the effects of increased sun exposure, thick facial sunscreens, air-conditioned interiors or my increased consumption of ice cream (hazelnut if you're buying) - but my skin is definitely looking a little tired. I caught up with Loreece, our Jurlique expert, to ask her how to get my glow back with Jurlique's Australian-made organic skincare. Tone with Jurlique Activating Water Essence to soften and revitalise the skin. When we're in a rush, it's easy to skip this step, but it really is an essential part of your skincare routine. It helps prepare your skin to absorb the full benefits of your serum and moisturiser. Follow with a serum of your choice to hydrate, firm and improve your skin tone as well as address your skin's concerns. To minimise the first signs of ageing, use Herbal Recovery Advanced Serum. This will improve elasticity, restore radiance, and improve dullness and dehydration. You can view the full range of Herbal Recovery skincare to complete your skincare ritual. To target deep lines, wrinkles, sagging skin and uneven skin texture, treat your skin with Jurlique Nutri-Define Superior Retexturising Facial Serum. This anti-ageing serum delivers potent ingredients which improve skin's firmness and hydration. 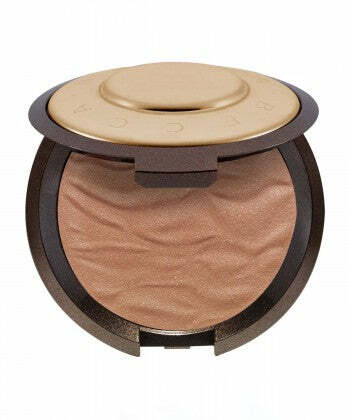 This results in a radiant and luminous look. For a complete skincare routine that targets deep lines and visible signs of ageing, use Jurlique's Nutri-Define range, which includes an eye balm, moisturisers and cleanser. To calm, soothe and restore red and sensitive skin, use the Jurlique Calendula Redness Rescue Restorative Treatment Serum. This serum will lovingly and gently help restore the skin's epidermal defenses to protect against environmental aggressors. Complete your soothing skincare ritual with the Calendula Redness range which includes a moisturiser and calming mist. Regardless of which Jurlique range best suits you, don't forget to moisturise day and night to hydrate, protect and nourish your skin and restore optimal moisture balance. Need some help finding the right Jurlique skincare range to help you get your glow back? Why not ask Loreece, Kiana Beauty's very own Jurlique expert, via our Ask an Expert feature. Want to know more about the Kiana Beauty Team this Christmas? They say that when you love what you do, you'll never work another day in your life. This holds true at Kiana Beauty. Our team is truly passionate about what they do, from giving our customers valuable advice via our Ask an Expert and Gift Concierge features, to lovingly wrapping your orders and handwriting thank you notes. We are truly blessed to have such a fabulous team who love what they do. We thought that you'd also like to know a little bit more about some of the team behind Kiana Beauty and put faces to names as we reflect on our favourite holiday traditions. Christmas is all about food and family. We start off with a small breakfast with our children, followed by a hot traditional lunch with my in-laws and then a crazy, bring-whatever-dish-you-feel-like-for-dinner with my enormous extended family. I love the magic of Christmas Eve. Our house is filled with white candles, we listen to carols and have family over for dinner. It's a wonderful night to pause and reflect on how lucky we are to be happy, healthy, safe and loved. If I could go anywhere in the world for Christmas, I'd travel to Cape Town to see my family. It's been 27 years since we were all together for Christmas. Then I'd like to fly to New York to see in the New Year. My ideal Christmas day is spent with my family and seeing my children and grandchildren happy, opening presents and enjoying time together. We enjoy a traditional Christmas lunch, followed by my signature Christmas Pudding. This was my mum's recipe and it holds lots of special memories. Christmas is the celebration of life. I love meeting up with friends and sharing Christmas nibbles together. I love to create ambiance in my home by decorating it lavishly with fairy lights. These remind me of my beautiful family who are living in Scotland, particularly of my mum who is a fairy light lady. I'd love to spend Christmas in New York one year. It would be wonderful to experience a white Christmas with all the great shopping and fabulous restaurants. My favourite Christmas tradition is from my Dutch heritage. My husband and children receive a chocolate letter that their name starts with along with a packet of Pepernoten - small cinnamon and aniseed cookies and a packet of Taai-Taai, a soft, chewy Dutch aniseed cookie. These are delicious treats and we look forward to them every Christmas. Christmas day begins with Mass for my family and I. This is followed by a traditional Croatian lunch featuring Sarma (a stuffed sour cabbage roll), smoked meat and other traditional foods. After that, I'm hoping to make some time to read and look forward to diving back into Consider the Lobster by David Foster Wallace. Although not everyone celebrates Christmas in the same way, we hope that the magic of the holiday season fills your home with joy and your life with laughter. We thank you all for your ongoing support and lovely feedback. From our family to yours, warmest wishes for the holiday season. Have you discovered NeoStrata yet? It is affordable skincare that has been developed by medical dermatologists, Drs. Van Scott and Yu, who are true leaders and visionaries when it comes to anti-ageing skincare. Drs. Van Scott and Yu, discovered the rejuvenating power of Alpha Hydroxy Acids (AHAs) and Poly Hydroxy Acids (PHAs). AHAs and PHAs gently exfoliate the skin and stimulate cell renewal, resulting in healthier, clearer and noticeably more radiant skin. NeoStrata have re-invented anti-ageing skincare for a wide variety of skin types and concerns. Sign. Me. Up. We chat with Lesley, Kiana Beauty's NeoStrata expert, and long-time NeoStrata fan, since well before she started working with this revolutionary skincare brand. Lesley, who is NeoStrata skincare suitable for? NeoStrata is for anyone who has noticed the signs of ageing and has additional skin concerns. NeoStrata not only smooths out fine lines and wrinkles, it is also clinically proven to be effective for improving sun-damaged skin, pigmentation, uneven skin tone, skin roughness, acne and scarring. There are two NeoStrata products that I would recommend to absolutely everyone as they are suitable for all skin types. The first one is the Facial Cleanser. This should be the first step in your skincare routine. It exfoliates without drying the skin and stimulates cell renewal. It is powerfully anti-ageing, yet gentle enough to use around the delicate eye area and even on sensitive skin. I also recommend the Skin Active Intensive Eye Therapy to absolutely everyone because it is simply the best eye cream I have ever used. You really do see results. It visibly smooths crows feet and lifts and brightens the eye area. Skin Active Intensive Eye Therapy is designed for all signs of ageing, including puffy eyes and dark circles. someone who has oily skin? Oily skin really benefits from using a toner. The Oily Skin Solution is excellent at unclogging pores and removing excess oil. It also helps to plump and hydrate skin and smooth out fine lines and wrinkles without drying the skin. Follow this with the Oil Control Gel to moisturise. This is a very light, oil-free gel which improves the look and feel of oily skin while keeping it hydrated. Oily skin really benefits from cleansing, toning and moisturising morning and night. What are the best NeoStrata products for normal skin or dry skin? I recommend the Ultra Moisturising Face Cream as the day-time moisturiser for anyone normal or dry skin, including those with sensitive skin. It strengthens the protective barrier of the skin, which helps it hold in moisture. It also works on smoothing out fine lines and wrinkles by promoting cell renewal. If you have very dry skin, then the Bionic Face Cream is best for you. At night-time, the Renewal Cream is a must for anyone with normal to very dry skin. It contains Pro-Retinol which provides intensive anti-ageing benefits, improved skin texture and tone and reduces fine lines and wrinkles. I have seen fantastic improvement in severely sun-damaged skin with the Renewal Cream. It's also an incredibly hydrating cream and I absolutely love it. Finally, what do you recommend for people with sensitive skin? The Facial Cleanser and Skin Active Intensive Eye Therapy, are still the cleanser and eye cream of choice for people with sensitive skin who still want to see great anti-ageing results. As a day-time moisturiser, I recommend the Ultra Moisturising Face Cream. It will gently calm the skin and strengthen the protective barrier of the skin, so that over time it corrects the problem of sensitivity. It also reduces the appearance of fine lines and wrinkles by promoting cell renewal. This moisturiser can also be used at night-time if you have normal sensitive skin. If you have dry to very dry sensitive skin, I recommend you moisturise with the Bionic Face Cream at night time. It is an intensely hydrating yet non-irritating moisturiser which helps to calm irritated skin and reduce redness. It also contains PHAs which help to smooth the appearance of fine lines and wrinkles. NeoStrata is an effective skincare brand that is powerful enough to reverse the signs of ageing while still addressing specific skin concerns, including sensitive skin. The range is recommended by doctors and dermatologists worldwide. Have you tried NeoStrata yet? We'd love to hear your comments on the brand. Don't forget that Kiana Beauty offers free standard shipping within Australia on all orders over $50. You can now buy your favourite skincare, makeup and fragrances from Kiana Beauty with Afterpay. When you look in the mirror, do you love what you see? Or do you notice fine lines and dull, tired looking skin? Well the wait is finally over! Jurlique have released their NEW Herbal Recovery Advanced Day Cream and it has Kiana Beauty's Jurlique expert, Sue, doing a happy dance because she has trialled it and LOVES the results. Sue, tell us why you are so impressed with Jurlique's Herbal Recovery Advanced Day Cream? Oh, the Herbal Recovery Advanced Day Cream is phenomenal. It has a beautiful light texture which feels amazing on the skin. It gives luminosity to dull skin and is deeply hydrating. I have found it to be very firming and smoothing and my skin is radiant and glowing. This makes my skin look younger. The star ingredient is Japanese Cedar Bud extract, making the Herbal Recovery Advanced Day Cream a powerful anti-ageing moisturiser. This new moisturiser from Jurlique is high in antioxidants and features a beautiful and powerful blend of botanical ingredients from their biodynamic farm. It is so good for you, that you can practically eat it. Who is the Herbal Recovery Advanced Day Cream suitable for? It's suitable for men and women and can be used by all skin types. It's a wonderful moisturiser for anyone who's equally concerned about the first signs of ageing as well as using organic skincare. What else should we be using with this moisturiser? Skincare doesn't need to be complicated. I would suggest two other Jurlique Herbal Recovery products to complete your anti-ageing skincare regime. A nourishing overnight cream, rich in powerful botanicals which deeply hydrate the skin and protect against environmental aggressors. Wake up to skin that feels firm, smooth, hydrated and looks radiant. A potent antioxidant eye treatment which helps reduce the appearance of fine lines and smooth out the eye area. 90% of women using this divine eye serum have noticed an increase in radiance around their eyes. Want to know more about Jurlique skincare? You can contact our Jurlique expert, Sue via our Ask an Expert feature with your specific Jurlique questions. Or you can view the complete range of Jurlique Herbal Recovery available from Kiana Beauty. Right now, when you spend $99 or more on any Jurlique products at Kiana Beauty, you receive your exclusive Jurlique Gift with Purchase, valued at $138, FREE. This offer is only available from Kiana Beauty from 11th September 2017, until stocks last. Run, don't walk! Don't forget, Kiana Beauty offers free standard shipping on orders over $50 and all orders are wrapped in our free signature giftwrap. Why? Because we love to make our customers smile. You can now also buy your favourite Jurlique products from Kiana Beauty using Afterpay. Throughout our lives, there are many times we draw on the advice given to us from our mums and there are also times where we ignored it, but wish that we hadn't! Mum knows best about many things, and just one of these things is real-life beauty. We ask some of the Kiana Beauty team to share the best beauty advice they received from their mum and share this mum wisdom with you. The best beauty advice my mum gave me was that less is more when it comes to makeup and that makeup should enhance my features and not change my whole look. Mum also taught me that sunscreen is a must to protect my skin from the sun. My mum has amazing skin. The most important beauty advice my gorgeous mum has given me is to look after my skin with good quality skincare and to eat my greens for radiant skin. Mum has also taught me that a bright lipstick will create the illusion of being well-rested when I'm tired and have dark circles under my eyes. My mum never wore makeup, but she instilled in me the importance of cleansing and moisturising my skin twice a day. She also told me to never smoke, to eat fruit and vegetables and to drink plenty of water for optimal health and great skin. I'm proud to say that I've followed her advice and have passed it on to my own daughter. My mum is very low key when it comes to beauty routines, but is big on hydration. Her best beauty advice is to moisturise, moisturise, moisturise. Hydrated skin will always look better than dry, flaky skin. If you feel like Mother's Day has just crept up on you this year, there's no need to panic. A Kiana Beauty Gift Voucher makes the perfect last minute gift, that will be emailed directly to you and allows your mum to buy something she'll LOVE to use. On behalf of the Kiana Beauty team, we wish all mums a wonderful Mother's Day. We thank you for all the wisdom you share with us and for your unconditional love. We all know that a fresh-pressed juice in the morning is high in Vitamin C, which has many health benefits. Clinique have taken it one step further with their Fresh Pressed Two-Step System containing pure Vitamin C.
When applied to the skin, Vitamin C is one of the most powerful de-ageing vitamins. It's most potent when it is fresh and so Clinique have formulated it in special protective packaging. This isolates the Vitamin C until it's activated for use, meaning your skin will get the maximum benefits. Clinique Fresh Pressed Two-Step System is de-ageing for the impatient. It delivers remarkable results within 7 days and even more transformative de-aginging benefits over time. Benefits include improved radiance, skin tone, texture, firmness and lifting and reduced age spots and lines and wrinkles. Cathy, our Clinique expert, trialled the Clinique Fresh Pressed 7-Day System with Pure Vitamin C, $45.00, and tells us what she thought of it. Tell us how adding Fresh Pressed Two-Step System with Vitamin C to your skincare routine has changed your skin? I put this to the test for 7 days and noticed AMAZING results, with smoother skin and a more radiant look within the 7 days. Staff and clients were continually asking me what I was using on my skin. The cleanser felt amazing from the first application. I followed this with two drops of the Boost to my regular Clinique Moisture Surge moisturiser and gave my face a light massage and pressed the product into my skin. The results were instant! I'm so excited by this new product and I'm calling it my new Vitamin C miracle! Who should use the Fresh Pressed Vitamin C system? It can be used by everyone and on all skin types. I would highly recommend this to anyone with mature skin as the results were very noticeable on my own skin, but also on the skin of my colleagues and on my clients who have been using it. But don't just take my word for it, try it yourself! Fresh Pressed Vitamin C is now part of my regular skincare routine. The two-step system is simple to use. Simply pour the ultra-fine powder into your wet palm, add water and work into lather and massage over face. Leave on for one minute to capture the potency of Vitamin C, then rinse off. This purifies, brightens and retexturises your skin. Boost with Clinique Fresh Pressed™ Daily Booster with Pure Vitamin C 10%. Add two drops of Fresh Pressed Daily Booster to one dollop of your moisturiser. This brightens, evens skin-tone, retexturises and soothes the skin. Here at Kiana Beauty, we are not just an online store with people tapping away on computers. We are the beauty arm of Berwick Pharmacy in South-East Melbourne. Our beauty experts spend all day having face-to-face consultations with real people, with real skincare needs. Meet Wendy, one of our beauty experts. Wendy has worked in the beauty industry for years, and recently attained her beauty therapist certificate, so she is well qualified to discuss all things skincare and beauty. One of Wendy's favourite topics is the KORA Organics skincare brand, created by Aussie supermodel and entrepreneur, Miranda Kerr. We asked Wendy a few questions to learn more about KORA Organics. Hi Wendy. Tell us a little about the KORA Organics brand. KORA Organics was created by the gorgeous Miranda Kerr after she was unable to find products that she wanted to use on her own skin. The KORA Organics skincare products are made from premium quality certified organic ingredients such as Aloe Vera, Lavender, Chamomile, Noni and Green Tea. They are not tested on animals, and are free of toxic chemicals such as silicones, parabens, synthetic fragrances or PEGs. What is it about the KORA Organics brand that makes you so passionate about it? Personally, I've had fantastic results since I started using KORA Organics products on my own skin. My skin suffers from rosacea which means it is prone to redness and irritation. I've also had customers come back and tell me they've seen some great results with their sensitive skin, and even some people with dermatitis and eczema have noticed an improvement. I also think that all the products in the KORA Organics range are very reasonably priced, especially considering the premium ingredients used. It adds a touch of luxury to my skincare routine everyday. Plus, I love that the KORA Organics products are locally made here in Victoria. How great is it that an international, ethical beauty brand is created right here in our backyard? What are your favourite products in the KORA Organics range? The KORA Organics Hydrating Day and Night Cream is our most popular product in the range. I love how well it absorbs into the skin, and leaves it feeling refreshed. It's suitable for even the most sensitive skin. I also love the KORA Organics Cream Cleanser. It's so easy to use and it removes all traces of makeup, even mineral makeup which is often heavier and can embed itself in the pores of the skin. I love that when I use the Cream Cleanser, I only need to cleanse once, not twice like with most other cleansing products. If I had to choose one KORA Organics product as my luxury item, I would choose the KORA Organics Age-Defying Phytox Oil. It's packed full of luxurious plant-based ingredients like jasmine, sandalwood, acai and frankincense to really nourish the skin. I love to apply it straight out of the shower, especially if my skin has been exposed to wind or sun, and my skin just drinks it right up and feels beautifully soft afterwards. Sometimes I'll even mix a drop of two of the Phytox Oil with the Hydrating Day and Night Cream for an extra nourishing boost. Who would you recommend KORA Organics for? There's a bit of a myth that KORA Organics is only for young people like Miranda, but personally, I've got a few years on her, and I've found it to be wonderful. Since using KORA Organics, I've noticed many benefits to my own skin, particularly increased hydration and radiance, keys to fabulous-looking skin. I really believe that good skincare is about finding the right products with the right ingredients for your individual skin. KORA Organics leaves my skin feeling soft, healthy and plumped, reducing the appearance of fine lines. My general advice is that if you're finding your current skincare is no longer working for you, don't be afraid to give new products or a new brand a try. You might end up wondering why you didn't switch earlier! Do you have a question about any of the KORA Organics skincare range or any of our other products? Click here to send us through a message or you are welcome to email us at hello@kianabeauty.com.au. Wendy, or one of our other beauty experts will be in touch to help you out. Right now, we have a special offer on KORA Organics products, with all products in the range at a special price of 20% off. Prices are as marked on our website, no other discounts apply. This offer is only for a limited time and will end on Sunday, 5th March, 2017. And with free delivery within Australia for all orders of $50 and over, plus our free signature giftwrapping, it's a fantastic time to stock up on some KORA Organics skincare favourites or to try something new. The team at Kiana Beauty are thrilled to introduce you to INIKA, a certified organic, cruelty-free, certified Halal, vegan and ethically sourced and packaged makeup brand. What's more, INIKA doesn't compromise on quality or fashion, making it the best makeup brand for naturally stylish women. INIKA is 100% Australian owned and punching well above its weight as the #1 trusted certified organic makeup brand worldwide. We catch up with Wendy, our INIKA expert to find out more. Wendy, tell us what you love about INIKA? I love knowing that it is an ethical Australian brand. I love the peace of mind that comes with knowing that nothing is applied to my skin that is harsh or harmful. I also love that the makeup is long-wearing and I don't need to touch up during the day. INIKA also offers a wide range of shades with great coverage, yet still feels light on the skin. Is INIKA suitable for people with sensitive skin? Yes, INIKA is suitable for even the most sensitive skin. INIKA's advanced botanical formulas are free from synthetic chemicals so less likely to cause irritation. What is your favourite product in the current INIKA range? I love INIKA Loose Mineral Foundation SPF 25. It's lightweight, 100% natural and is a foundation and concealer in one. It gives my skin a flawless finish as well as a radiant and healthy glow. I apply it everyday to give my skin an even finish as well as protection from the sun. What is the most popular INIKA product? Without a doubt, the INIKA Certified Organic Pure Primer with Hyaluronic Acid because it improves the staying power of your makeup. Plus it has a beautiful fragrance of lavender and lemon myrtle. It also contains jojoba, coconut oil and apricot kernel oil for a well hydrated base. For those who are interested in ethical, organic makeup, my advice is to be open to change and willing to experiment. I am personally using products in the range that I would never have previously used with other brands. You never know what you'll love until you try it! Need some help? 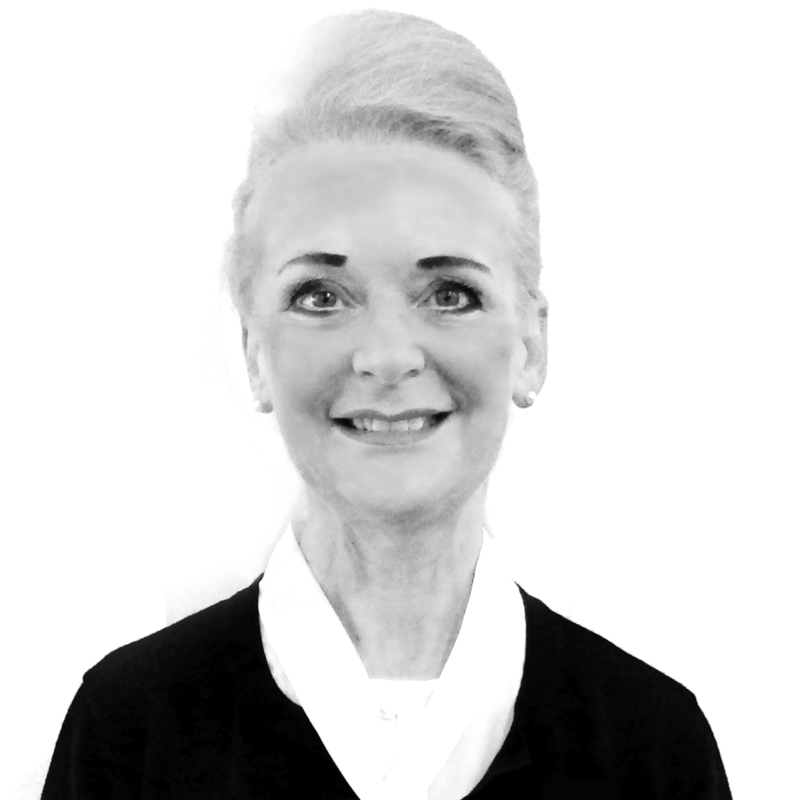 If you have any questions about INIKA, you can contact Wendy, our INIKA expert via our Ask an Expert feature. Right now, you can receive your free INIKA Certified Organic Lip Glaze in Berry when you spend $70 or more on our INIKA Range. As the pace kicks up a notch in the lead up to the festive season, some of the team at Kiana Beauty take a moment to reflect on their favourite holiday traditions and share with you what's on their Christmas wishlist this year. Chanel No 5 L'EAU Eau de Toilette Spray. It's fresh and light and just gorgeous for summer. Our tree is decorated in red and silver and has been for years. With a curious one year old, we will wait a while before updating our decorations to a new colour palette. Elizabeth Arden Christmas Colour Blockbuster. I love, love, love the mascara and can replace all my dated colour palettes in one go. Spending treasured time with my family over dinner. I also Skype my mum and sister in South Africa and hope that one year we can celebrate together. Jojoba Company 100% Natural Australian Jojoba, because it's so nourishing and versatile and can be used anywhere on the body. A traditional roast feast with all the trimmings, followed by pudding and custard. This year will be extra special with our first grandchild experiencing his first Christmas. Pure joy! Chanel Rouge Allure Luminous Intense Lip Colour in Pirate. It's a classic, yet fun shade to wear all year round. Setting the table with beautiful linens, fresh flowers and clusters of candles. This sets the tone for a magical day. I can't wait to see the wonderous look on the faces of my three children. Advanced Night Repair Eye Serum, for its amazing results in improving the signs of ageing. A traditional Christmas cake for dessert. We make this every year from a recipe passed down from my mother and we enjoy it together as a family. Peter, Fixer of technical issues. La Roche-Posay Toleriane Ultra. It soothes my highly sensitive skin. Going to midnight mass and having a traditional Croatian lunch on Christmas day featuring food such as Sarma, a sour stuffed cabbage roll. Jurlique Rose Moisture Plus Moisturising Cream Mask. It's my go-to skincare product during busy times. Like a big drink of water for the skin. Starting the day with a walk along the beach and having a day filled with smiles and laughter. Yves Saint Laurent Black Opium Eau de Parfum. A vibrant feminine fragrance. Short and sweet... Christmas shortbread. Although not everyone celebrates Christmas in the same way, we hope that the magic of the holiday season stays with you in the coming year. We thank you all for your ongoing support and positive feedback.